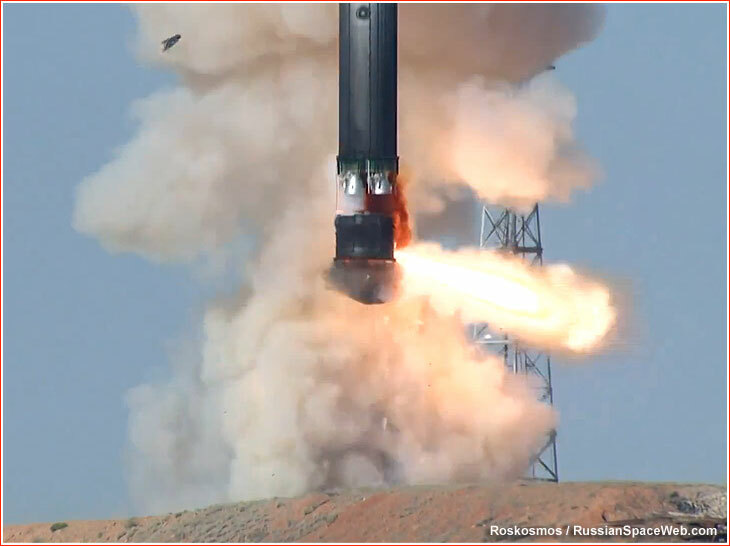 Above: The liftoff of the R-36M UTTKh rocket converted into a Dnepr space launcher. 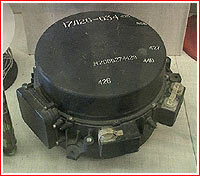 On August 16, 1976, the Central Committee of the Communist Party and Council of Ministers USSR issued a resolution for the so-called UTTKh modernization of the R-36M missile. (UTTKh stands for Improved Tactical and Technical Characteristics). A primary goal of modernization was further expansion of the missile's strike range and the increase in the survivability of the vehicle and its launch complex under conditions of the incoming nuclear attack. According to official specifications, a single R-36M UTTKh missile could strike 10 various targets, including large population centers, as well as small military targets, spread over an area of 300,000 square kilometers. The R-36M UTTKh also featured a new payload module with 10 improved MIRV warheads designated 15F162 and equipped with a more powerful A134GA nuclear charge. 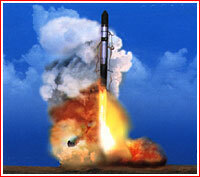 According to other reports, the R-36M UTTKh carried from 5 to 8 nuclear warheads. 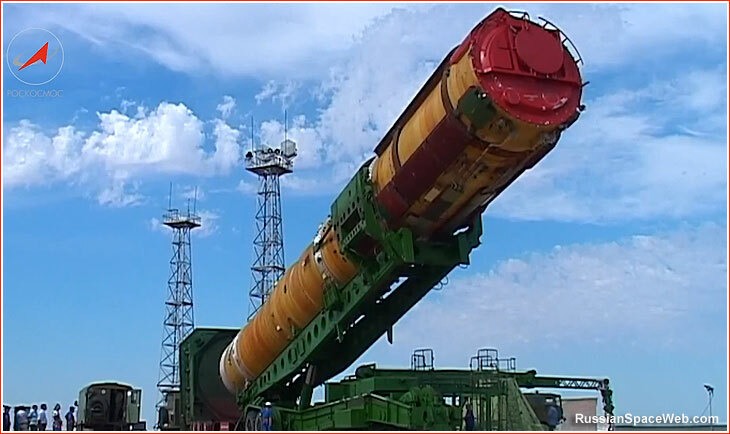 The most significant upgrade of the missile itself included a brand-new upper stage. Its exotic design featured deployable engines, which "pulled" a two-deck container with nuclear-carrying reentry vehicles. The new design allowed gentle release of the MIRV warheads, known as "zero impulse," which increased the weapon's accuracy. The launch infrastructure for the R-36M UTTKh missil included the 17P718 launch complex and the 15V155 command post with increased survivability and more reliable communications systems. The UTTKh version of the R-36M missile, also known as R-36MU, received a new industrial code -- 15A18. 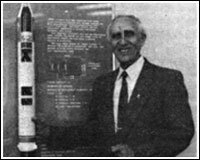 Its first test launch took place in October 1977 and a total of 19 launches took place, two of which failed, during the test flight phase. At least 162 of such missiles were known to be deployed during 1979-1983. In 2005, Nikolai Solovtsov, the commander of the Strategic Rocket Forces, said that R-36M UTTKh, would remain in service until 2007-2009. 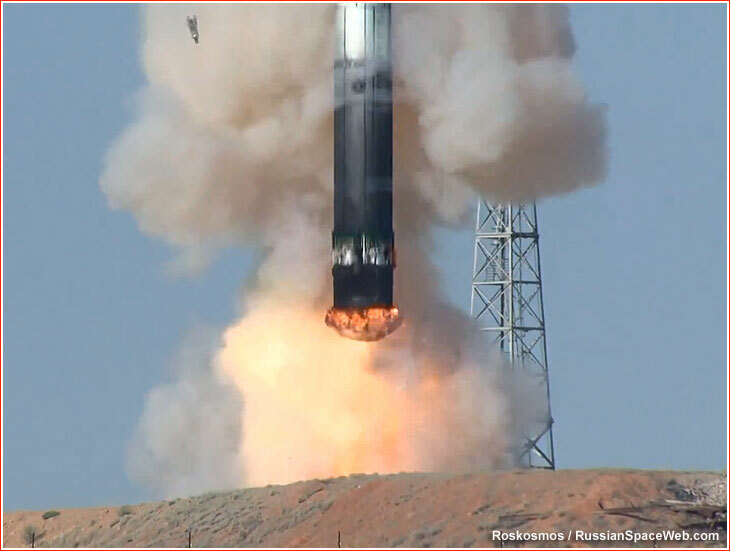 In the meantime, some of R-36M UTTKh rockets would be converted into space vehicles within the Dnepr program.